Freelancing can be a great way to make money either on the side or as a full-time business. However, one mistake many freelancers make is not using a contract. Sometimes it’s because the business their working with doesn’t offer one or because they’re not sure what to include in the contract. In this post, I’m going to break down why having a contract is important and what to take note of when reviewing the contract. First things first, you need to contract for pretty much any business relationship you’re entering into. It could be that you need to provide the contract or it could be that whoever you’re working with will send you a contract. Either way, you need one and you need to understand it before you sign anything. A contract is meant to protect both of the parties that sign. It protects you from not being paid for your work and protects your client from paying and not getting any work in return. While an agreement made to via email can constitute a legally binding contract, having a formal contract can help to hammer out details to make enforcement a bit easier. You don’t want to have to hammer out such details during the course of a lawsuit if one party breaches the contract. It takes more time and can cost more money, lawyers aren’t cheap. Here is what you need to know about formal contracts. The first step in working with a contract is to not sign anything until you’ve read and fully understood the contract. You are not against the time clock. Actually, most contracts include a clause that says each party has had the time and ability to have the contract reviewed by their lawyer if they so choose. So you have time. Even if you choose not to actually go to a lawyer to have the contract reviewed, you have time to review it and make sure you understand everything it contains. The only way you’re going to know what’s what is to read the contract. I’m not going to sugar coat it, you need to read the contract. Once you receive the contract and you’ve not just signed it right away, it’s time to actually read the contract. Ideally in its entirety. I know contracts are not the most exciting read. However, they are outlining your legal options should something go wrong in this business relationship. Even if it is someone you know, even if it’s a friend, have a contract. Read it to ensure you understand the contract. Now if you’re really not gonna read the entire thing (although you should) there are certain parts you should definitely make sure you know and understand. These include restrictive clauses, the times and payment of your agreement, what the working relationship is, and who all is involved in making sure you’re communicating with a person with the proper authority to enter into a contract. You need to be sure to understand the relationship you are entering into with this contract. Are you working with them as a contractor or an employee? The relationship impacts how you need to pay for taxes and other benefits that you may be eligible for as an employee vs as a contractor. In most instances, freelancers are working as independent contractors. This means that the freelancer is not an employee and therefore is not entitled to employee benefits. Not being entitled to such benefits means the freelancer is responsible for paying their own taxes (like self-employment tax), work expenses, and anything else an employer might usually provide. Sometimes the work done by a freelancer can lead to a job and an employee/employer relationship, however, that also involves another contract. Clients and freelancers almost always mean to enter into an independent contractor relationship, if the contract refers to the freelancer as anything else you may want to consider changing the relationship outlined. Restrictive covenants ro clauses are the part of a contract that limit your ability to do other things. Non-solicitation is often a common one, it usually is spelling out that you’re not going to try to lure away their employees or other people they work with or their clients. Another common restrictive clause would be a non-competition clause. This is a big one because they’re saying you have to agree to not work with any of their competitors for a set amount of time. If you are going to agree to a non-compete, they need to pay you a premium for that because it’s limiting your income. Additionally, if you’re already working for some of their competitors you’re going to want a waiver of the non-compete for those companies to keep working with them. Any clause (and it usually starts with the word “non”) that is restrictive requires you to understand the terms, it is super important you know what those mean before you agree to them. You don’t want to be limiting your possibility of work without being paid properly for the privilege. In most cases, the client will own the work product once the freelancer has been paid. However, it’s also not uncommon for the freelancer to retain the right to include/mention the work in their portfolios, being able to retain credit for the work. Though it is possible that the freelancer might not be able to retain credit for the work, one example would be if they were ghostwriting, meaning the freelance writing is actually going to show up under the client’s name. If the client is sub-contracting the work to a freelancer, they may not want it known that they didn’t do the work and have it spelled out in the contract that this is ghost work and the freelancers can’t claim the work. In such instances, you may want to consider getting a testimonial from them since you won't’ be able to include the work in your portfolio, that way the work still helps you to grow your freelancing business. Determining work product ownership is usually determined in a clause about intellectual property. Generally speaking, the client usually has to provide the freelancer with information in order for the work to be done. Often times some of this information isn’t public knowledge and a contract will require the freelancer to keep this information confidential. Often times freelance contract will include the general contract and then an exhibit outlining the specific work done, also referred to as a work schedule or statement of work. It provides the terms and conditions of acceptable work. It outlines the specific work, the timeline for the work, and the expected payment. The payment terms, meaning when it will be paid, invoicing requirements, and how much you’re being paid could be covered as part of the exhibit or in the general contract. One of the reasons for a Work Schedule is to allow for the general contract between the parties to cover multiple projects. When reviewing the Statement of Work, you’ll want to make sure that it conforms to what you had discussed with whoever you’re contracting with. Finally, you need to know what happens if one party doesn’t hold up their end of the bargain. The contract should outline what you need to do to pursue a remedy if a party breaches the contract. It could be via a lawsuit in a specified state or arbitration. Though that is only if you decide to take it to that next step. For example, if payment is late I would consider working with the other party to get payment made, and you may want to consider including a late payment fee in the contract. If the other party is refusing payment then you’re more likely to just to the legal remedy outlined in the contract. Either way, you need to know what the next steps will be if you or the other party fails to provide the promised terms outlined in the contract and exhibits. 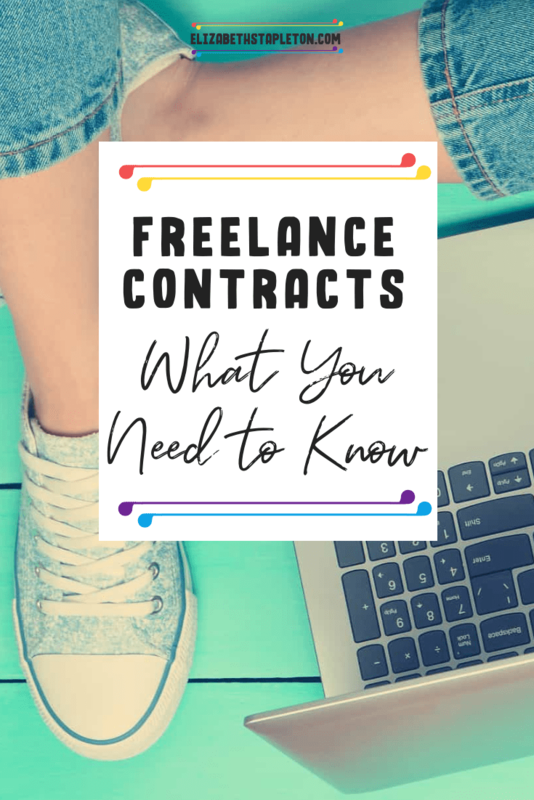 Whether you’re a freelance writer, freelance designer, or some other type of freelancer, as this post has explained you need a contract. The next step is to figure out where to get a contract if the client doesn’t provide one. 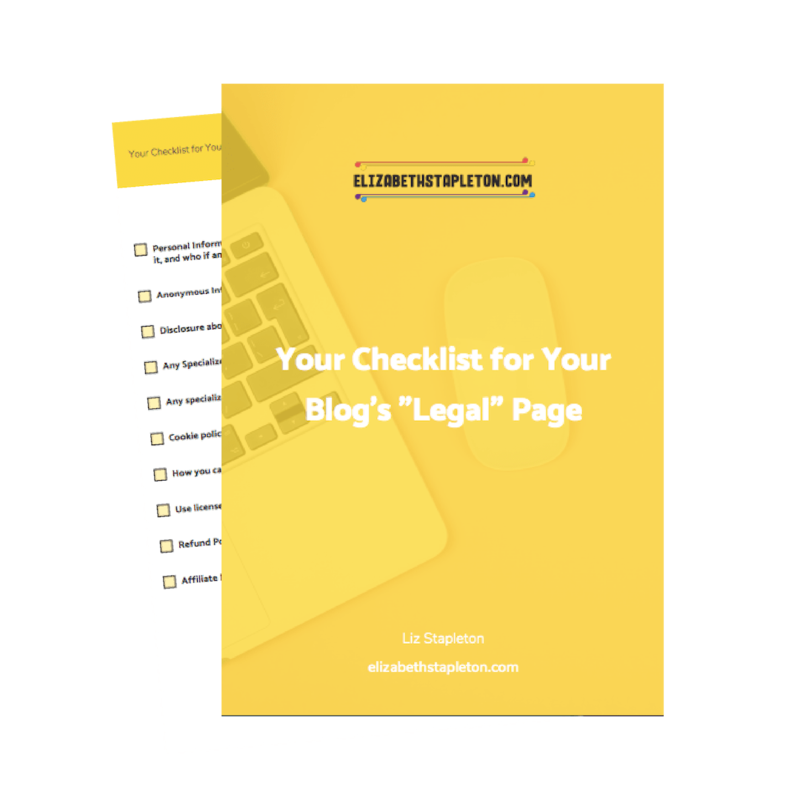 While there are lots of contract templates out there, it’s best to find one written by an attorney. If you can’t afford an attorney to draft a customized contract for your business, the next best thing is a contract template drafted by an attorney, keeping in mind that since it is a template, it does not contain legal advice, rather it provides general information. Meaning it’s a general contract and that an attorney licensed in your jurisdiction should be contacted about specific questions or to customize the contract to your specific needs. You need contracts in business and you definitely should NOT sign them until you’ve read and fully understood the terms in the contract. what happens if a party breaches the contract. If after reading the contract, you still don’t understand all of the terms, it is best you reach out to an attorney. It likely won’t cost as much as you think to have a contract reviewed. And if your client doesn’t provide a contract, you can get a contract template here​​​​.